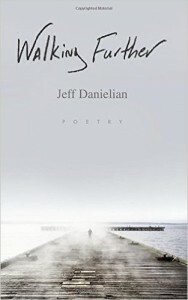 Walking Further picks up where Seasonal Ramblings, Danielian’s first poetry collection, left off. The poems are strong but have a sense of simplicity to them. None of the poems were difficult to read and nothing went over my head, leaving me getting a lot out of each poem on my first reading, with added layers and meanings coming out with each new reading. Danielian offers 63 works of poetry in this collection. While that is an impressive amount of poems, especially since the quality is pretty consistent, very few run more than a page, with some being much shorter. It’s a quick read, but a read that can be picked up again and again to revisit some favorite poems. This collection covers a variety of topics, ranging from love, weather, people in general and cigarettes. Danielian pretty much hits the gauntlet, and his work could mean different things to different people. With an easy flow, a lot of the poems seem like musings, Danielian creatively getting something off his chest or expressing something that is meaningful to him. The strength here is in the primitiveness of his words. He is able to find beauty without having to send readers to the dictionary. A poem like “A Question” reads almost like a writer’s to-do list, hashing out the thoughts that cross a mind before putting a pen to paper. “Just Right” throws his heart on the table for the reader to see. He has nothing to hide and even less to sugarcoat. “The Lovely Cigarette,” the closer in this collection, is humorous for a non-smoker (probably right on for a smoker), but it is nothing more than briefly listing all the reasons someone may have to smoke a cigarette. It’s brilliant in its “nothing to it”-ness. I again am reminded of William Carlos Williams, and half fully expect his next work to be portraying the American dream/life through the sights and sounds of a Rhode Island city. A minor complaint, which I got over quickly, would be his use of rhyming. There is a decent amount of rhymes in some of the poems, but I wasn’t able to find a rhythm to a lot of them. Some would have a few stanzas with rhymes, but would abruptly stop. It threw me off a bit as I found myself focusing more on the rhyme (at least during my first read) than the actual poem. Once I realized that there was no structure or reason to a lot of the rhyming, I was able to accept that fact and move on. In addition to the 63 poems, Danielian does something really unique with this collection. After the lighthearted ode to smoking closer, “The Lovely Cigarette,” there is an Index of First Lines. This is exactly how it sounds. I took a few moments to read it as its own poem, and it somewhat made sense. Most of the lines had a flow, making me wonder if this was done on purpose or just an intelligent coincidence. My guess would be that this was some bonus reading, though I will be telling myself that regardless. The other bonus Danielian added was a few extra pages for the reader to write down their own thoughts. There are five lined pages and five unlined pages. I absolutely love this idea, though I failed to make use of it. Danielian has done it again with Walking Further. I admire his writing style and the overall beauty he paints with his words. A lot of these poems seemed to speak directly to me, which had my head giving them a proud round of applause.